Julie started South Seas Skin Care in 2001 after being diagnosed with skin cancer. After years of research and development, Julie created a line of tanning products that features a blend of natural ingredients. Today, South Seas is used by over 3,000 film and television makeup artists and celebrities, including Peta Jane Murgatroyd, professional dancer, TV personality and pro cast member on Dancing With the Stars. Got more questions on how to self-tan like a pro? We sat down with Julie to get some answers to our most pressing self-tanner questions, as well as expert tips and tricks! 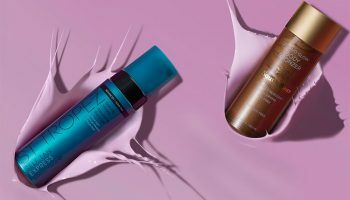 Self-tanning mousse, towelette, spray or lotion: What’s the difference and which formula is the best? Spray: A spray will offer quick, flawless applications if done correctly. The product is tinted, easy to manage and dries quickly, however it does take practice to perfect. Some propellants cause the product to come out fast leading to high concentrations on the skin and undesirable results. When spraying, be sure to cover your bathroom floor or apply in the shower as the overspray can become messy. Lotion: Self-tanning lotions are made both tinted and untinted. With a tinted lotion, it is easy to see the application, but it can stain light-colored clothing. Although untinted lotions are more difficult to see on the skin, they will not stain clothing or sheets for overnight treatments. Towelette: A towelette generally comes untinted, so after each application, it is highly recommended to wash the inside of your hands. They are great for travel and dry rapidly, however even coverage can be difficult to achieve. More tend to use a towelette for the body, and less for the face. Mousse: A tanning mousse is a lightweight, tinted self-tanning foam that is meant to be applied with a mitt. It will provide instant, rich color and blends easily. Without a mitt, however, a tanning mousse can settle in certain areas leading to dark streaks, lighter spots or a combination of both. Oil: A self-tanning oil has multiple purposes including self-tanning, hydration and anti-aging. It is advised to let the product set before adding layers of clothing as it may bleed. Oils are generally used as refreshing options to tan the face and body, so it is important to find yourself one that is lightweight, rather than sticky. Does my skin tone and type matter when choosing a self-tanner? Yes, skin tone and type does matter when making your selection, but not as much as you would think. The amount of self-tanner you are applying is just as important as the strength. If you have extremely fair skin, it is not recommended to opt for a dark self-tanner. If a dark self-tanner is your only option, apply the lightest amount you can, or dilute it with regular lotion. On the other hand, if you have a darker complexion and the only option is a light self-tanner, you can apply more generously to achieve darker results. Keep in mind, the initial color of the self-tanner does not have an impact on your tan. They are designed for even application and will wash off after your initial shower. Is there a right way to apply a self-tanner to make it look more natural and without streaks? Yes, but it takes practice. First things first: shower, shave and exfoliate. To avoid streaks, opt for a self-tanner with a tint or color guide to ensure an even application. Apply lotion to elbows, sides of feet and knees and any other extremely dry areas prior to applying the self-tanner. Begin with the legs, applying in long, even strokes and work your way up. Once your body is evenly applied, dress in something dark and loose to give the tan a chance to work its magic. Remember that less is more. If you apply too heavy, you will look spotted when fading. If using a lotion, towelette or oil, make sure you rinse off the insides of your hands and the webs of your fingers before the tan starts to develop. How do we avoid patchy elbows, shoulders and knees? Applying a thinner layer of self-tanner will help to avoid patchy areas, as will applying a thin layer of lotion prior to the self-tanner. Drier skin tends to soak up more self-tanner than moisturized skin, so diluting or wiping off self-tanner is advised when attending to age spots and other dry areas. Any tips on how to apply self-tanner to face? I like to use a tanning mist on my face and let it fall lightly on my skin. It’s best to feel it, not see it. How about hands and feet and hard-to-reach areas like back? Believe it or not, a tanning mitt attached to a spatula from your kitchen is a common method used to reach your back. If using a mist, you can usually hit all of the areas of your back, but this will take some practice (or a friend). Any tips on how to salvage a self-tanning session gone wrong? If your self-tanner stains the inside of your hands or the bottom of your feet, a foot file or a nail buffer is going to be the best option. If your tan is streaky and a lotion was used, you can apply another layer diluted 50% with lotion to blend the area, or apply a full second light layer of tan. An instant bronzer (without DHA the active ingredient) is another great option to hide imperfections and flaws from the self-tanner without making the problem worse. To remove unwanted self-tanner in larger areas, a scrub or an exfoliation mitt will help during the shower. After, when the skin is still damp, a dry towel works great to buff off any excess tan. How long do self-tanners last if done correctly? Your self-tanner should last about a week to 10 days. The older you are, the longer your tan will last as skin cell turnover slows down with age. Hands, face and feet sometimes require a reapplication three to four days after the treatment if they are constantly being washed. The best way to preserve a tan is to apply lotion daily for the first several days. If you want to increase the length of your tan or darken the tone, use a tan extender or gradual self-tanner every other day to continually add color—this process allows the tan to stay consistent for several weeks. What are the best skin care products to use before or after a self-tanner to enhance the results? Using a good exfoliator or an exfoliation mitt prior to self-tanning is always nice, but it is not absolutely necessary. A tan extender or gradual self-tanner will actually darken the tan and make it last longer, but they can lead to poor fading if used at high levels. 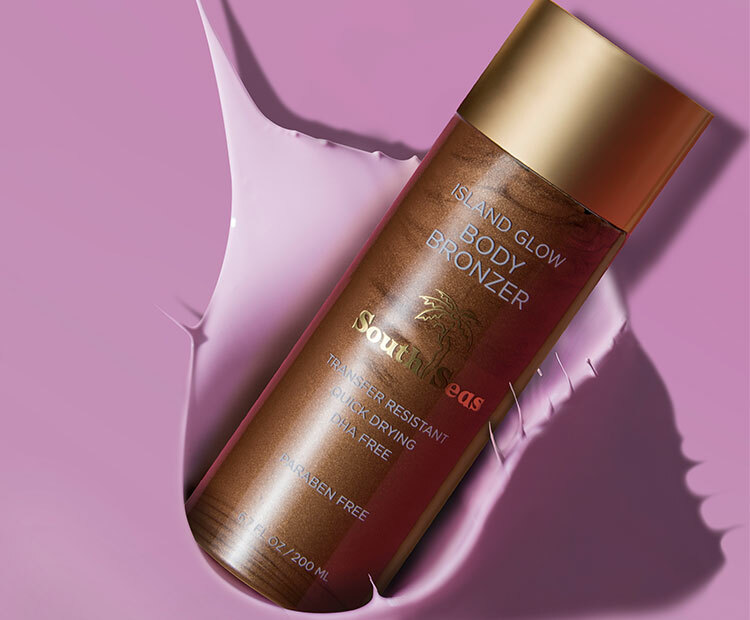 Dry bronzing oils and bronzing lotions (not self-tanners) wash off in the shower and are great to finish your tan with a little glow or shimmer.